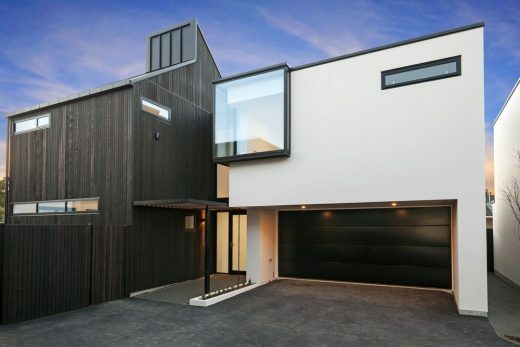 This Christchurch inner city townhouse development, comprises of 4 townhouses, each of which are approx. 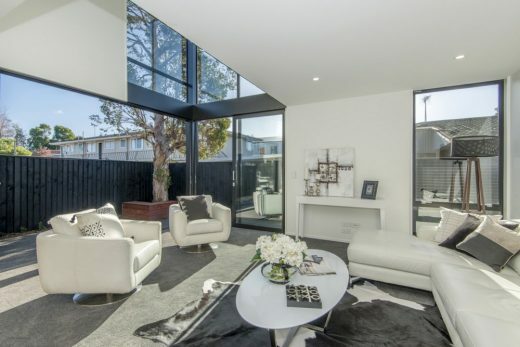 190 sqm and feature 3 double bedrooms, 2 bathrooms, double height living areas which open up onto private courtyards/outdoor areas and a double garage. 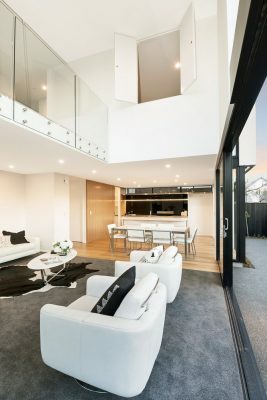 Each townhouse is designed to be functional and feel spacious, whilst maintaining good cross ventilation, natural daylight and a sense of privacy. 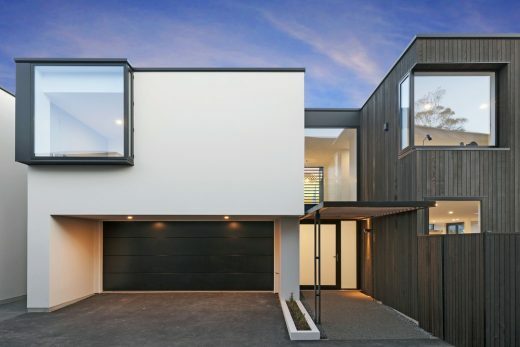 The materials comprise of a combination of vertical ship-lap cedar cladding and plaster, with the townhouses featuring interesting roof lines, angles and feature windows. 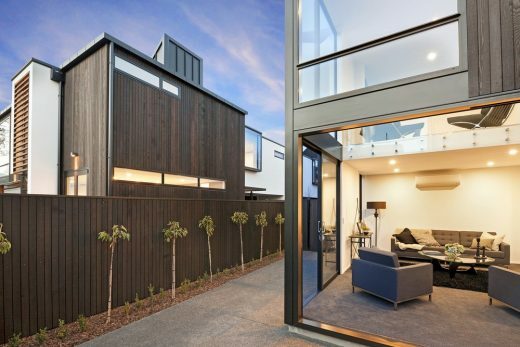 The brief was for the design of a townhouse development of four medium sized homes on a very tight inner city building site. 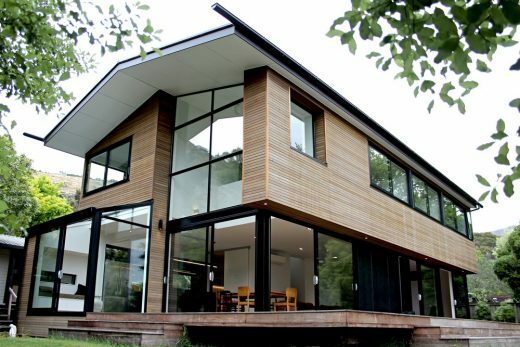 The rather small building site and planning rule restrictions were the main challenges for this project. 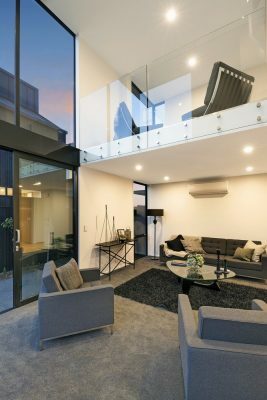 The characterful Durham Street Townhouses sit proudly about a shared courtyard punctuated with private walkways, dramatic pergolas, and bold roof forms. Around this central space the proportions and arrangement of the buildings work together to create a village-like atmosphere, while oiled cedar walls and slatted screens combine with the careful composition of glazed openings to provide privacy to each unit. Natural materials are continued into the internal living spaces, which feature oak floors, cedar privacy screens, and timber lined kitchens. 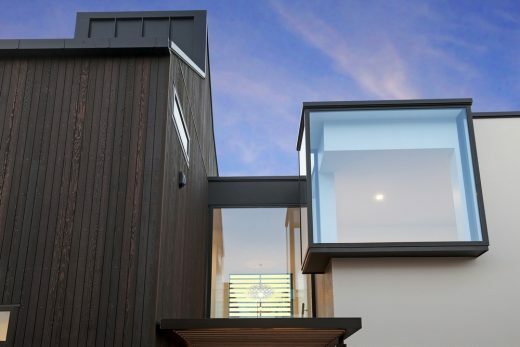 Each free standing unit features a private outdoor space connected to the interior of the home by a generous double height void with extensive glazed facades. 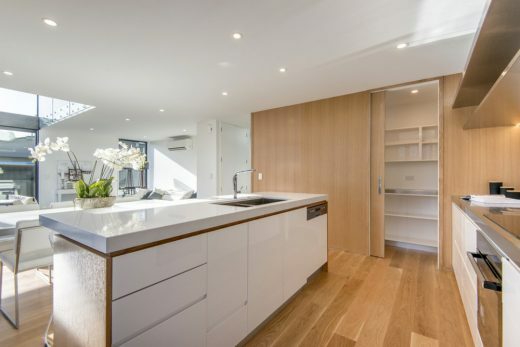 These dramatic north facing spaces allow natural sunlight to warm the central living and private mezzanine through the year. 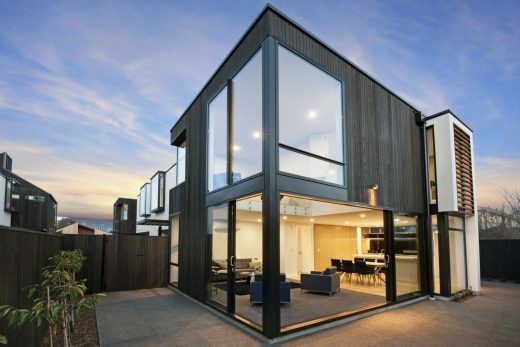 All together the intriguing forms and effective layout of these units are an excellent example of inner city living.